Lowland as well as upland forests and thickets, river banks, roadsides and fencerows, pastures. The anthers are ordinarily pink, though plants with pale yellow anthers have been collected in the southeastern portion of the Lower Peninsula (and segregated as C. structilis Sarg.). The leaves of C. calpodendron tend to be acute more often than those of C. succulenta, but the more abundant pubescence of the plants will distinguish them from C. coleae and C. brainerdii. 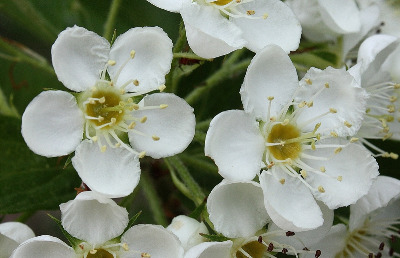 Crataegus calpodendron is a late-flowering hawthorn, typically blooming into mid-June in our area. MICHIGAN FLORA ONLINE. A. A. Reznicek, E. G. Voss, & B. S. Walters. February 2011. University of Michigan. Web. 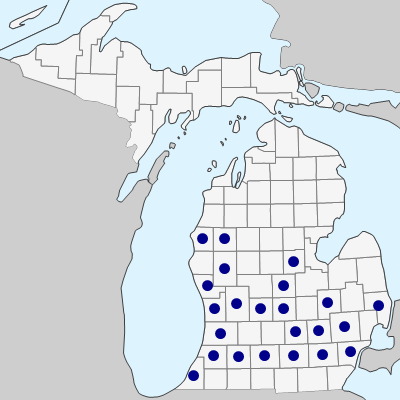 April 19, 2019. https://michiganflora.net/species.aspx?id=2437.